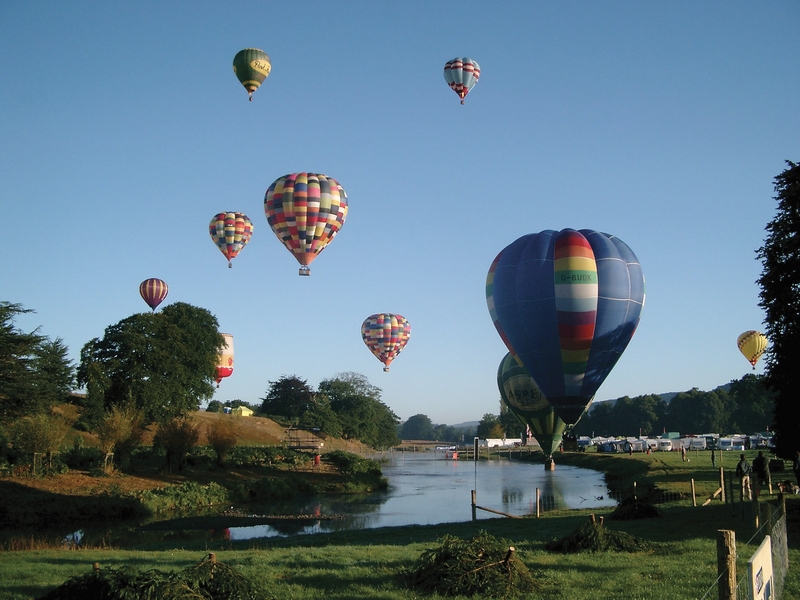 Two weeks today marks the opening of the 35th annual Chatsworth Country fair. The fair will run from 2nd to 4th September and I will, of course, be attending. I had been planning to write a review post of my visit but I suddenly realised that probably wouldn’t be much use to you as it would be too late. As I’ve been to the fair for the past few years and loved it, I thought I’d write a pre-emptive recommendation post instead. 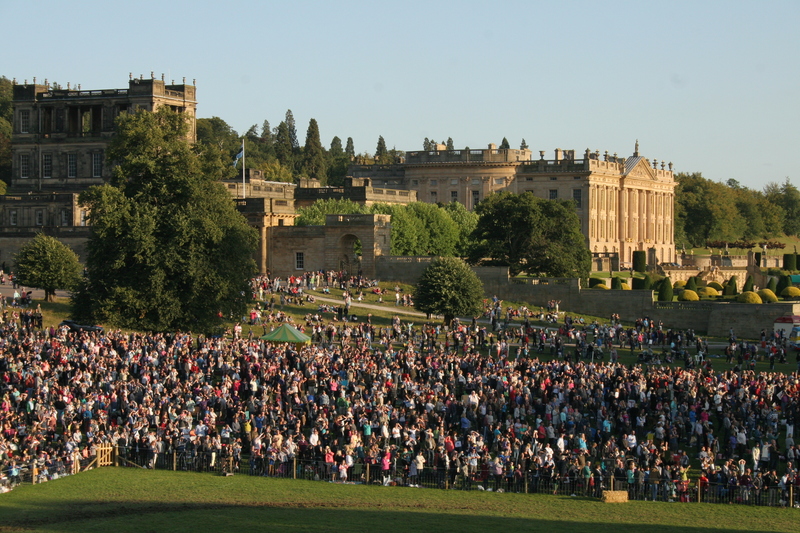 Chatsworth Country Fair first started in 1981 with approximately 50,000 visitors. This year it is expected to have more than 90,000. I’m not entirely sure which day we’ll be going yet. I’ll need to have a good look at the programme to decide which day we prefer. However, I am being very selfish and not inviting our children. They absolutely love the fun fair attractions, so I feel a little guilty, but sadly we don’t usually get to see much else. This year we’ve decided to have an adults-only day out so we can really appreciate all that the fair has to offer. To help you get a better idea of what the fair is all about, and why you really should pay a visit, here is how I plan to spend my day at the 2016 Chatsworth County Fair. If you can get up SUPER early you might catch the hot air balloon display at around 6am. I can pretty much guarantee we won’t be there that early, but I do try and arrive by about 9am as the traffic can be a little mental! After we park up we’ll take a walk up towards the fair, passing Chatsworth House in all its glory. There is usually a display military vehicles at the side of the house, so we’ll probably stop to have a quick look at those. As you’ll know, I love all things vintage. Maybe I should wear something 1930s-style and be a forces sweetheart for the day? The first thing you’ll notice as you walk towards the fair are the sights, sounds and smell. Aromas of freshly prepared food waft towards you, you can hear the melodies from the fairground rides and the noise of bustling crowds. Up ahead appears the big wheel and helter skelter, looming over the stalls. Everything looks so exciting and inviting. Luckily we’re here for the WHOLE day, so we have plenty of time to fit it all in. The ABSOLUTE first thing I want to do when arriving at Chatsworth Country Fair is to find something delicious for breakfast. There are many, many food options, which I’ll touch on in more detail later, but for me there can only be one choice. Coffee and freshly baked doughnuts. Luckily there’s usually a stand quite near the entrance so I’ll pick up some treats and then find a seat near the show ground to watch some of the early morning entertainment. This year there are planned to be over 350 trade stands, in comparison to the 160 that attended the first fair in 1981. Without the kiddies, I might actually have the opportunity to look around them all! You can find everything from toys to jewellery to industrial lawn mowers to hot tubs! Hopefully I can save a bit of my birthday money to try and pick myself up a little treat. Back in 1981, Chatsworth Country Fair boasted approximately 20 food stalls. This year there will be over 100 to choose from including the Fine Food Village, which showcases foods from local and artisan producers. You can pretty much find any kind of food you could ask for. I’m partial to a hog roast but may try and find something a little more exotic this year. The Grand Ring opens each day at 12noon with an Opening Ceremony. The ceremony starts with a parachute display from Jump4Heroes, The Royal British Legion Extreme Human Flight Team, followed by The Band of the Corps of Royal Engineers. Over the course of the weekend there will be many amazing attractions in the Grand Ring, including the Household Cavalry Music Ride, parade of vintage cars and even the red arrows. Mr Mess always recounts how amazed I was at the dancing JCBs a few years ago and the massed pipe bands are also a tremendous sight to see. You can download a programme of the day to make sure you don’t miss out. If you’re into cookery you can also see demonstrations from Mary Berry, Paul Hollywood and Valentine Warner, plus many other fabulous chefs. Check the County Fair website for full details and a schedule so you can be sure to catch your favourite. Once I’m completely exhausted, shopped out and over-fed it will be time to head home. Some evenings you might see a repeat performance from the hot air balloons. This can be lovely to watch as you wait to drive out of car park, which can be quite busy towards the end of the evening. On the way to the car I’ll be sure to stop off at some of the HUGE Pick & Mix stalls to pick up some treats to nibble on the way home. Chatsworth Country Fair runs from 2-4 September 2016. Tickets are £25 per adult per day. Children under 14 are free! There is more to see than I could every fully do justice to, but whether it’s grown-ups only or a family day out I’m sure you’ll find plenty to keep yourselves entertained. Who knows? Maybe I’ll see you there! This entry was posted in Lifestyle and tagged chatsworth country fair, chatsworth house, Derbyshire. Wow, love your post, a great visual feast for me! Love your beautiful photography!